Mental illness has become a widespread epidemic across not only the United States but around the world. Depression, in particular, is increasingly common—shown to affect up to 20 percent of the general population during some point in their lives. The current treatments available for mental health conditions such as depression and anxiety, including medication and therapy, do not always provide relief for patients. In fact, as many as half of all patients who are prescribed an SSRI for depression will find the first medication they try insufficient. People are turning more to alternatives in the hopes of better treating their mental health conditions. This has led to a sizable market of people seeking relief not found in conventional medications and treatments. Certain forms of dietary supplements, especially those that contain probiotics and enzymes, have shown promising results in clinical trials and hold the hope of a new way to treat these serious and often life-threatening illnesses. About half of all Americans take a dietary supplement, and many of these are people looking to find a natural treatment for their mental or mood conditions. This can be due to side effects experienced on psychotropic medications or a lack of sufficient relief of their symptoms. Chronic mental health issues, such as a major depressive disorder or generalized anxiety, are a predictor of dietary supplement use. Practitioners as well are searching for innovative alternatives to standard mental health interventions that provide better results. 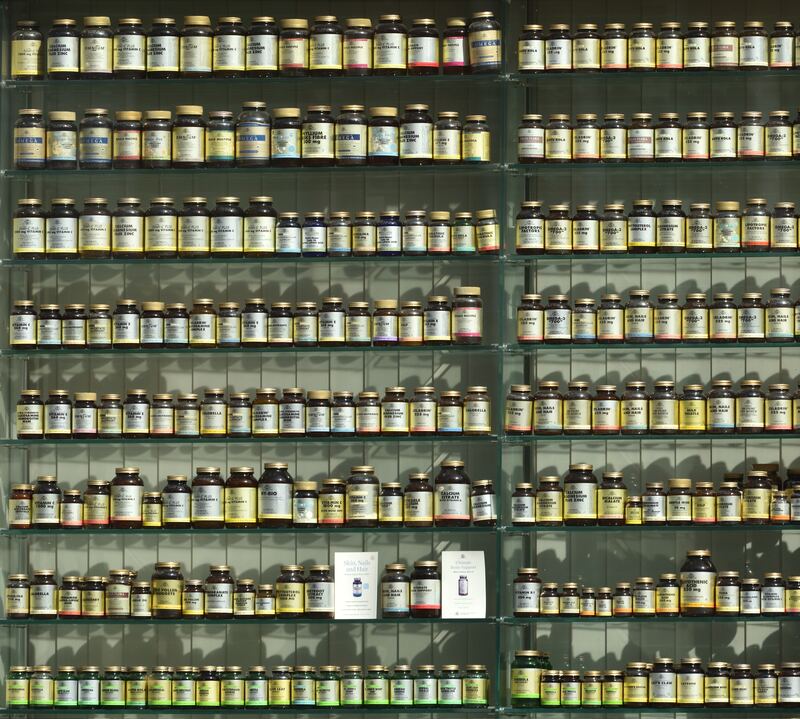 Dietary supplements can present an affordable alternative when the cost of medication and ongoing therapy is prohibitive, which is the reality for many patients. In a 2002 study, …[..] 35 percent of internet users searched for information on alternative and complementary treatments for their medical conditions, and this number has skyrocketed in the years since. Much research has shown that a person’s diet can significantly affect their mental health, both directly and indirectly, by influencing the production and use of key neurotransmitters in the brain. However, many people following a standard American diet struggle to get adequate intake of essential nutrients. For many years, treatments were centered on influencing the brain’s chemistry directly via medications that increased neurotransmitters such as serotonin and dopamine. Now the focus has turned to exploring the impact of digestive health on the brain. Increasingly, researchers are learning more about what is termed the “brain-gut axis.” This connection between the central nervous system and the digestive tract was discovered in the last few decades and has been investigated for antidepressant and anti-anxiety efforts. It’s theorized that the brain and digestive system communicate continuously with one another. Psychiatric disorders have been linked to changes in the bacteria that live inside the gut. Only recently did researchers find there is a separate nervous system located inside the intestine, which produces the same neurotransmitters as the brain. An imbalance of these neurotransmitters in the gut can create problems, just like it can with the brain. These problems present in the form of gastrointestinal symptoms. Nutritional psychiatry is a term that encompasses this new frontier of psychiatry which explores this brain-gut axis further, focusing on how diet affects each individual’s mental health. Dietary supplements can be an important factor, filling any nutritional gaps as well as providing additional support for the body. A type of dietary supplementation of particular usefulness is probiotics. Probiotics (often called “good bacteria”) are microorganisms that live naturally in the digestive system. Forty types of probiotics have been identified as naturally occurring in a healthy human gut. Supplementation can be effective when an imbalance of gut bacteria is suspected. Probiotics have been shown to provide a therapeutic effect for many patients, not only in regard to their digestive problems but also with their mental health. Another useful dietary supplement is digestive enzymes. Digestive enzymes are crucial to the natural breakdown of foods in the body. Studies have shown that many people with depression and anxiety lack sufficient enzymes, making proper absorption of vitamins, minerals and medications a challenge. The introduction of digestive enzymes as a dietary supplement allows the body to properly absorb these elements, potentially improving depression and anxiety symptoms. Probiotics and prebiotics have gained massive popularity in recent years and are now the third most sought-after natural product in the United States. Therefore, the addition of probiotics and prebiotics to a product can significantly enhance its profitability. With the possibility of not only supporting digestive health but improving mental health, this number can only grow. Mental health and gastrointestinal disturbances are often linked, as with the case of irritable bowel syndrome (IBS). In one study of 44 adults who were suffering from both IBS and depression, over half of the patients in the non-placebo group had a significant reduction in their depression scores after six weeks. One theory is that for some patients, by clearing up worrisome physical symptoms, mental health improves. However, direct activity on neurotransmitters has also been demonstrated. In the study, changes were seen in the limbic system, which is responsible for processing emotions. This suggests the use of probiotics in some patients could play an essential part in improving their mental health. The addition of probiotics was also shown to increase brain-derived neurotrophic factor (BDNF) which plays a major role in neuroplasticity and memory and is usually reduced in patients diagnosed with depression. While studies are still limited, findings have been extremely promising. Numerous studies have suggested that using a dietary supplement featuring probiotics and enzymes can improve the symptoms of certain mental health conditions, especially major depressive disorder. Probiotics, in particular, have been demonstrated to positively affect neurotransmitter activity, thereby improving depression and anxiety in some patients. This is mainly due to the neurotransmitter serotonin, which is also a target of most antidepressants. While antidepressants prevent the reuptake of serotonin into the synapses, probiotics may regulate the amount of serotonin produced and improve the body’s ability to use this crucial neurotransmitter. As certain dietary supplements have the potential to have adverse interactions with prescription drugs or other supplements, the patient must always consult with their doctor and inform them fully of all dietary supplements they’re taking. Side effects should be reported promptly. A review of the current literature shows a promising link between dietary supplements, enzymes and probiotics, and the relief of mental health symptoms, and probiotics manufacturers are taking note. Sufficient evidence suggests that adding specialized dietary supplements with enzymes and probiotics to the diet of someone suffering from depression or anxiety may be beneficial, whether or not they’re currently taking a prescription for the condition. With these findings, more manufacturers are opting to further explore the link between dietary supplementation and mental health treatment.